British artist, illustrator, author, and poet Edward Lear was born 12 May 1812, he is renowned today for his literary nonsense, in poetry and prose, and especially his limericks, a form that he popularised. Lear was born into a middle-class family in the village of Holloway, and was raised by his eldest sister, 21 years his senior. Due to the family’s failing financial fortune, at age four he and his sister had to leave the family home and set up house together. Ann doted on Edward and continued to mother him until her death, when he was almost 50 years of age. Lear suffered from health problems. From the age of six he suffered frequent grand mal epileptic seizures, and bronchitis, asthma, and in later life, partial blindness. Lear experienced his first seizure at a fair near Highgate with his father. The event scared and embarrassed him. Lear felt lifelong guilt and shame for his epileptic condition. His adult diaries indicate that he always sensed the onset of a seizure in time to remove himself from public view. How Lear was able to anticipate them is not known, but many people with epilepsy report a ringing in their ears (tinnitus) or an aura before the onset of a seizure. In Lear’s time epilepsy was believed to be associated with demonic possession, which contributed to his feelings of guilt and loneliness. When Lear was about seven he began to show signs of depression, possibly due to the constant instability of his childhood. He suffered from periods of severe depression which he referred to as “the Morbids. 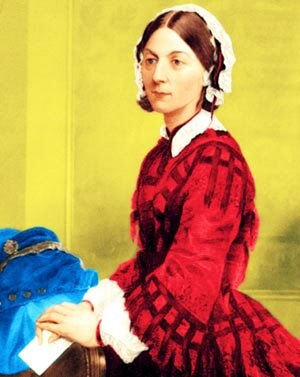 Celebrated English nurse, writer and statistician Florence Nightingale OM, RRC was born 12 May 1820. She came to prominence for her pioneering work in nursing during the Crimean War, where she tended to wounded soldiers, and was dubbed “The Lady with the Lamp” after her habit of making rounds at night. Nightingale laid the foundation of professional nursing with the establishment of her nursing school at St Thomas’ Hospital in London, the first nursing school in the world, now part of King’s College London. the annual International Nurses Day is celebrated around the world on her birthday. Dalí’s father organized an exhibition of his charcoal drawings in their family home. He had his first public exhibition at the Municipal Theater in Figueres in 1919 Dalí attributed his “love of everything that is gilded and excessive, my passion for luxury and my love of oriental clothes” to a self-styled “Arab lineage”, claiming that his ancestors were descended from the Moors.Dalí was highly imaginative, and also had an affinity for partaking in unusual and grandiose behaviour. His eccentric manner and attention-grabbing public actions sometimes drew more attention than his artwork to the dismay of those who held his work in high esteem and to the irritation of his critics. During his life Dalí was very prolific and produced over 1,500 paintings in his career in addition to producing illustrations for books, lithographs, designs for theatre sets and costumes, a great number of drawings, dozens of sculptures, and various other projects, including an animated short film for Disney. 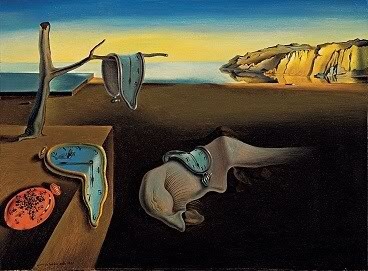 He also collaborated with director Jack Bond in 1965, creating a movie titled Dalí in New York. He has also been cited as major inspiration from many modern artists, such as Damien Hirst, Noel Fielding, Jeff Koons and most other modern surrealists. Salvador Dalí’s manic expression and famous moustache have made him something of a cultural icon for the bizarre & surreal. He has been portrayed on film by Robert Pattinson in Little Ashes, and Adrien Brody in Midnight in Paris. He was also parodied in a series of painting skits on Captain Kangaroo as “Salvador Silly” (played by Cosmo Allegretti) and in a Sesame Street muppet skit as “Salvador Dada” (performed by Jim Henson). I would like to read The Butterfly Summer by Sunday Times best selling author Harriet Evans, it is the follow up to A Place for Us and features a young divorced woman named Nina Parr who is currently living with her Mother and Stepfather In London. Nina grew up in Cornwall not knowing much about her father’s side of the family after her father disappeared under mysterious circumstances in 1986 when she was six months old, after embarking on an ill fated expedition to Venezuela in search of the Glass Winged Butterfly. Then Everything she thought was true is thrown into question after a brief but strange encounter with a confused old lady named Teddy, Who reveals things about her family out of the blue and Nina begins to question the truth about her father’s death and decides to find out what Teddy’s connection is to the family. Soon Nina begins digging for clues, at an long forgotten old mansion in Cornwall called Keepsake whose elegant crumbling facade is full of secrets, wonder and danger, which has been home to the Parrs for generations. The Butterfly Summer is told in two perspectives. One is Nina’s and the other is Teddy’s. They are both writing about all the disturbing things that happened to them. Nina, three years later and Teddy at the end of her life. Locked inside Keepsakes crumbling house and overgrown secret gardens Nina decides to find out about about hidden family secrets, in her family’s past and the truth about her Father’s death as Nina journeys on an intriguing voyage of discovery that rock the very foundations of her existence but gives her the chance to finally put things right.